In the passage we’ll look at today, we will learn from Jesus how to pursue those who don’t know God. Jesus was considered defiant by the religious people of the day because he would do things that were not common for a Jewish rabbi to do. He was constantly accused by the religious elite of his day for doing things against the norm. However, they missed the point about Jesus; they missed the point of what it means to be about God’s kingdom. 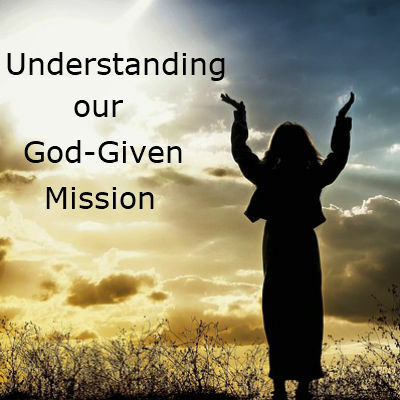 Jesus was intentional in what he did; and in this story he shows us what it means to be intentional in fulfilling God’s mission. When Jesus began his public ministry, he began to call disciples to himself. He called some fishermen; but then he called someone who would not be a good candidate based on Jewish standard due to the job this man had. Jesus called a tax collector to become his disciple. (The call to discipleship is open to everyone). Tax collectors were hated by the Jews for working for the Roman government, the very government the Jewish nation wanted to do away with. Tax collectors were rich in those days. They were employed by the Roman government, which required them to collect the assigned amount of tax from the people. Whatever extra they collected constituted their own commission. Many of them would charge more so that their commission would be higher. They were hated by the people. Why would Jesus want to call someone like Levi to become his disciples? No other Jewish rabbi would even consider having Levi become part of their group. Jesus called him to follow him. Levi had heard a lot about this Galilean preacher, who now invited him to join his band of followers. Matthew or Levi got up from his booth and followed Jesus; he too left his job for following Jesus. He threw a party for Jesus in his house. Of course, he would invite his best friends, other tax collectors. In that culture, you ate with those who were like you. Levi or Matthew invited his buddies, other tax collectors to the banquet he threw for Jesus. Jesus got to hang out with Levi’s friends. Jesus chose to hang out with the outcasts, those rejected by society. He welcomed them in their midst. Jesus gives the reason for being intentional about hanging out with them. Sin is the reason Jesus came to earth. He died to save us from our sins. He came to save and transform sinners. Sin is the root of the problems we face in our world. Jesus is calling sinners to change their ways. That’s why he would associate with sinners. God’s pursue of sinners is relentless; he doesn’t want anyone to perish, but that all come to repentance. The church must never forget that we are here to fulfill Christ’s mission to seek and save the lost. To rearrange people’s meeting with the Savior. Our mission is the same as it was Jesus, to call sinners to repentance, to reconcile the world to God; to help people in their journey from followers to mature disciples. Jesus is still in the business of searching for sinners to save them and transform their lives. Levi’s life wasn’t the same after meeting Jesus. Levi became an apostle and even wrote the gospel according to Matthew. Your life won’t be the same when you get to know Jesus; God will use you to make an impact in the world. Jesus is no longer walking the streets he walked 2000 years ago, but today he has his church, you and me to go bring his message to others.